If you are looking for an opportunity to practice your Italian and you live or work in Milan, Italy, or if you are Italian and you want to improve your English, then a Franglish language exchange may be just what you are looking for. I was invited to try a Franglish language exchange and it was fun. Indeed, I was more then happy to have been invited back for a second session. The Franglish format means you get to use both English and Italian. It works like this: you move from table to table and speak for 7 minutes in Italian and then 7 minutes in English. A moderator ensures the time limits are respected. That’s the most formal aspect of these language exchange meetings, the aim of which is also social – and it’s a good place to meet people and make new friends. You can talk about what you like. Both times I went, afterwards the chatting sessions, we ended up going for a post language exchange pizza at which both Italian and English was spoken. And a Whatsapp group has been created so Franglish participants can keep in touch. 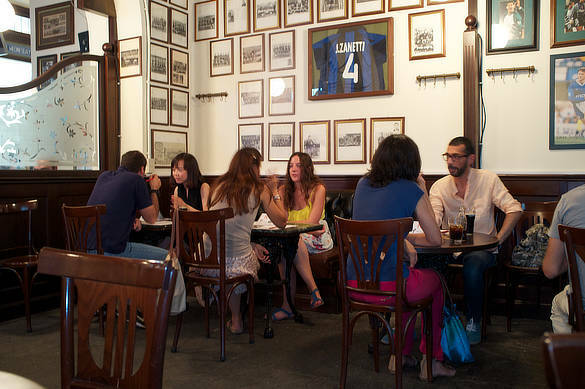 In Milan, a Franglish language exchange can be found in the English Football pub, Via Valpetrosa, 5, in Milan and the language exchange sessions run from 7pm to 9pm. If two hours sounds a little heavy, don’t worry! Only one and a half ours of that are spent chatting in Italian and English. You also get to meet some interesting people. I met an enterprising Italian guy who’s set up a paint selling e-commerce activity (which seems to be doing very well) and other people from all walks of life. I also met a former English language student of mine. And then there was a graphic artist from Jordan. 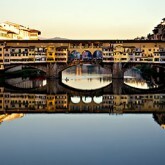 Although I did not have an opportunity to chat to her, there was also young Chinese lady who is studying in Milan. 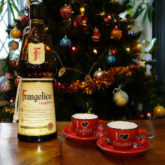 As well as being a fun way to improve both Italian and English language skills, the Franglish sessions also provide informal networking opportunities although networking is not what these language exchange sessions are all about. Being an English teacher, I’m always on the eye out for ways in which Italians can develop their language skills and I’ll be happily recommending the Franglish language exchange meetings to my students. I think they’ll find them useful, especially if they don’t get many opportunities to speak English outside of work. A lot of my own students mention that while they can handle work situations that call for English, they find conversation in social settings much harder. The Franglish system could help them overcome their difficulties. The cost of taking part – registration is necessary to ensure a balanced number of English and Italian speakers turn up – is €10 and that includes a drink. Seeing as private English lessons can cost more than double that, Franglish language exchanges are quite a cost effective way for Italians to practice English as well as for non-Italians to get to grips with conversational Italian. Franglish meetings take place weekly and the next ones are planned for September 2, 9 and 16. If you go, you might meet me there. Great idea! It sounds a little bit like those speed dating evenings, except for language. And the price is certainly right. Thanks for sharing this! Ha! Maybe not like speed dating (have never tried it) – but it was quite intensive, or I thought so – but it was fun. Price is fine, I think. Got anything like this in your neck of the Italian woods?